Sometimes the hardest battle is the one after the war. As one of the soldiers on the front line of Operation Iraqi Freedom, Lieutenant Scotti was taught that weakness is what gets you killed: no hesitation, focus your energies on your objective, and complete the mission. 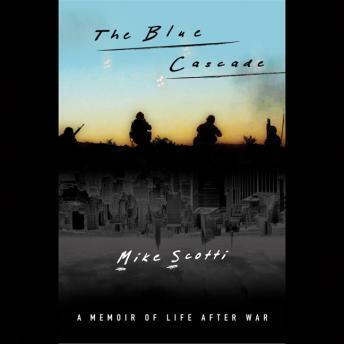 Upon returning from war, Scotti approached his new life the same way. He ignored the creeping depression and numbness he called 'The Blue Cascade' and charged ahead toward his goal to get an MBA, secure a high-paying finance job, and retire young and rich. But he was being eaten away inside, and scenes of drunken emotion and raging violence were becoming more and more frequent. Years after returning from active combat, he eventually found himself contemplating suicide. Through a series of powerful events, Scotti was ultimately able to find a path to healing and begin his journey back to life, finally emerging with the following wisdom for fellow sufferers of post-traumatic stress: It's ok if you are not ok.